David S. Kravitz, head of the Corporate practice of Katten's New York office and co-head of Katten’s Mergers and Acquisitions practice, concentrates his practice on a broad range of transactional, securities and general corporate matters. 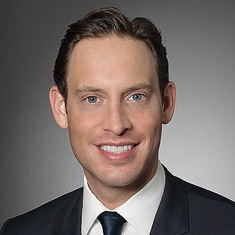 He regularly advises private equity sponsors, public and privately held companies and their boards of directors and committees of independent directors in a variety of transactions such as mergers and acquisitions, corporate financings, joint ventures, unsolicited takeovers, proxy contests and other contested transactions, including auctions and leveraged buyouts. His experience spans a broad range of asset classes and industries, including pharmaceutical, fashion, Great Lakes shipping, technology, energy, gaming, restaurants and insurance, among others. David also serves as general counsel for a number of his public and private clients, providing advice on a wide range of matters including growth initiatives, capital formation, securities and regulatory matters. For his public company clients, he also regularly advises on corporate governance issues and Securities and Exchange Commission reporting and disclosure.